Gritty, jazz-inflected deep house from French producer Marc Bianco. Moonrise Hill Material have cultivated a reputation for earthy lo-fi/deep house releases from the likes of Ethyene and co-owner Folamour (including his first physical release full-length, Umami, late last year). 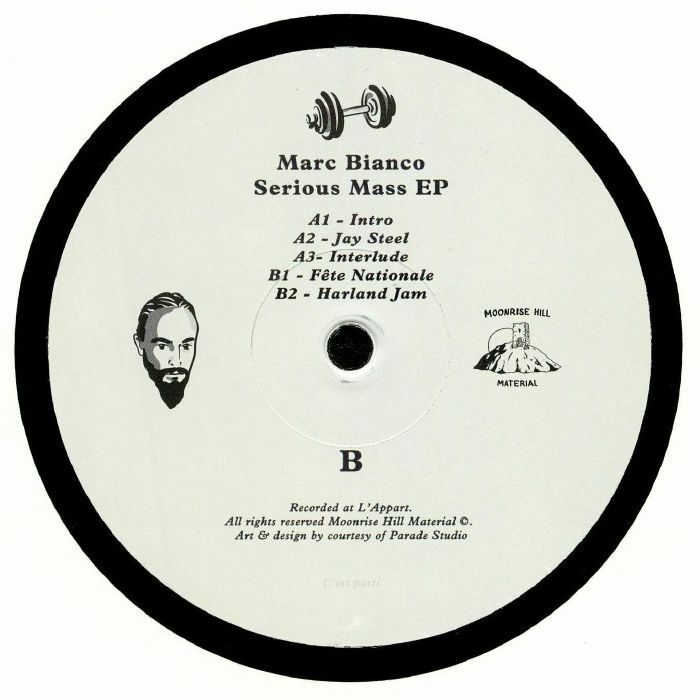 February saw the label release the Serious Mass EP by Marc Blanco, another French producer crafting intelligent and highly soulful house music. After a cosmic intro, the woozy house chugger ‘Joy Steel’ and the high-octane jazz/breaks workout of ‘Interlude’, Bianco finishes out the EP with a hypnotic dirty piano house groove (Fête National) and finally Harland Jam, a titan of a track where sleazy jazz piano flirts with sample-box style percussion and a monstrous, meandering bass sound. It’s immersive stuff, and Bianco crafts sounds that pull you inside the production. It’s like taking a shower in dripping hot double bass vibrations and analogue bubbles of sound. Warmth.